The Measles-Rubella Combined Vaccine Production is a partnership between Kitasato Daiichi Sankyo Vaccine and the Japan International Cooperation Agency (JICA) to produce the first measles-rubella combined vaccine. The program aims to lower the incidence rates of measles-rubella in Vietnam. Rubella cases in Southeast Asia have been on the increase in recent years. Most regional countries however, are unable to produce their own vaccine against the disease. 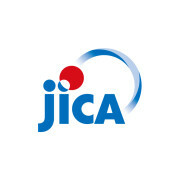 As part of their strategy, JICA and Kitasato Daiichi Sankyo Company aim to assist developing countries improve maternal and child health with lower incidence rates of infectious using technology from Japan. The government of Vietnam has worked to improve immunization rates for vaccines to prevent polio, measles, diphtheria, pertussis, tetanus and tuberculosis as part of its effort to lower the mortality rate for children up to 5 years of age under the National Expanded Programme on Immunization in Vietnam. The Kitasato Institute Research Center for Biologicals (current Kitasato Daiichi Sankyo Vaccine) and JICA offered technical assistance to Vietnam's public corporation Center for Research and Production of Vaccines and Biologicals (POLYVAC) to produce the measles vaccine for four years between March 2006 and March 2010. As a result of this cooperation, POLYVAC has acquired technology for domestic production of measles vaccine. The 2013 technical cooperation project utilizes the rubella vaccine production technology of Kitasato Daiichi Sankyo Vaccine, in addition to the existing measles vaccine production technology of POLYVAC, to build a current Good Manufacturing Practice compliant measles-rubella combined vaccine production system that is expected to contribute to lowering the rate of measles and rubella cases in Vietnam. Daiichi Sankyo is a global pharmaceutical company engaged in the research and development, manufacturing, and sale and marketing of innovative and generic drugs, vaccines, and over-the counter medicines. Daiichi Sankyo’s mission is to create innovative medicines that improve the health and quality of life of people around the world, and we’re working to achieve this through our worldwide research and development (R&D) operations. Through research and development (R&D), we’re working to create a competitive pipeline and deliver innovative products quickly and consistently. This supports our vision of becoming a Global Pharma Innovator. While maintaining our portfolio of marketed pharmaceuticals for hypertension, hyperlipidemia, and bacterial infections, we’re developing treatments for thrombotic disorders – which occur when clots form in blood vessels. To reinforce the competitiveness of research in disease areas with high unmet medical needs, we’re also focused on discovering and developing novel oncology and cardiovascular-metabolic therapies and substances with novel mechanisms of action. Our worldwide research and development (R&D) network connects Japan, the United States, Europe, India and East Asian countries. This multinational approach allows us to leverage expertise from around the world to execute clinical trials and strengthens our global decision making. 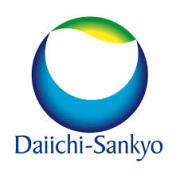 Our R&D function, as well as Daiichi Sankyo RD Novare, is primarily based at four sites near Tokyo. They collaborate with Daiichi Sankyo, Inc. in the United States and Daiichi Sankyo Development Ltd. in Europe on everything from drug discovery to development and manufacturing. In the United States, Daiichi Sankyo Pharma Development oversees global clinical trials from its headquarters in Edison, New Jersey, while Daiichi Sankyo Development oversees clinical trials from its headquarters in London. Teams based near Munich, Germany are responsible for drug metabolism and formulation, among other things. Additionally, we’ve established R&D locations in key emerging markets including India, where our acquisition of Ranbaxy's new drug development facilities, which was renamed Daiichi Sankyo Life Science Research Centre in India (RCI), has strengthened our research network.